On Sunday 18th November Knysna Golf Club hosted the final PGA Pro Am for the year sponsored again by Knysna Estate Agency. Knysna Estate Agency have been sponsoring this event for the last 5 years. The field consisted of 22 Club Professionals and their teams from the Southern and Eastern Cape. The Pro’s played Individual Stableford as well as a 4 ball alliance competition. 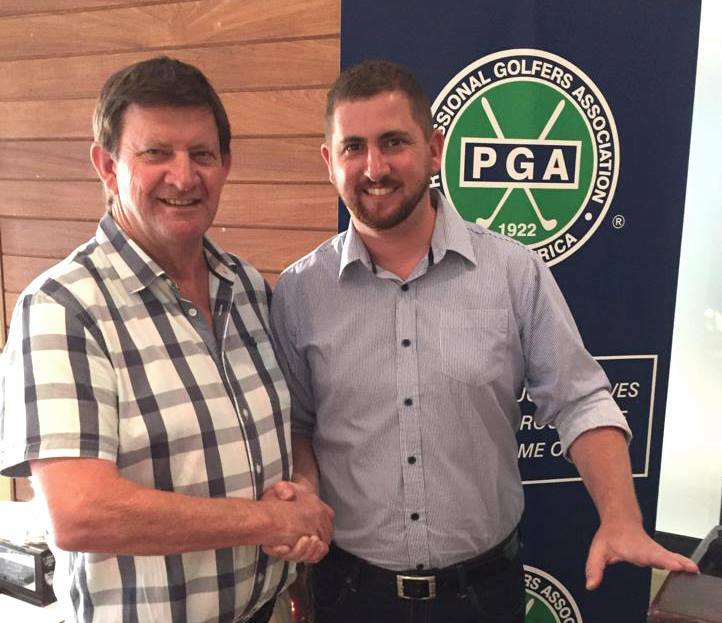 The winning Pro being Knysna Golf Club’s Chris Dixon who shot 71 gross in some tough conditions followed by Phillip le Roux and Thinus Keller who both shot 74 gross. 4 Ball Alliance Winners: Thinus Keller (St Francis Links), Percy Owen, Norman Pretorius and Walter Ehinger with 80 Points. Congratulations Chris on your win. KGC is proud of you.